Project Life Archives - Pebbles, Inc. I made cards for each card “theme.” These cards will separate the sections in my binder. 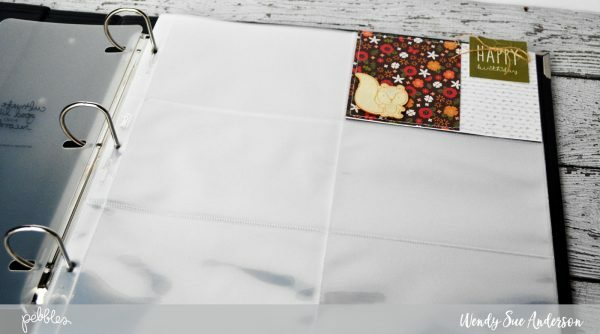 I’ll place each one in the top right corner of a page protector for easy reference. 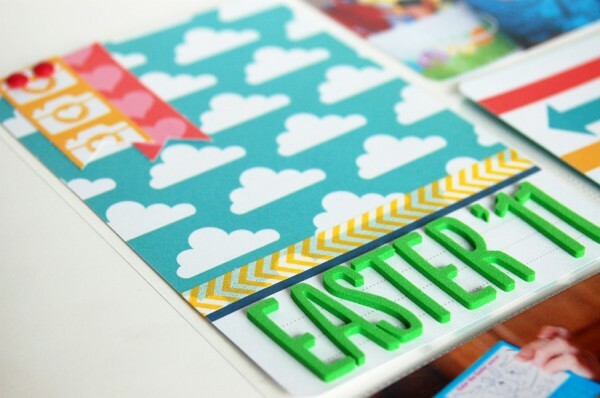 Here’s how easy it was to assemble each of the cards. 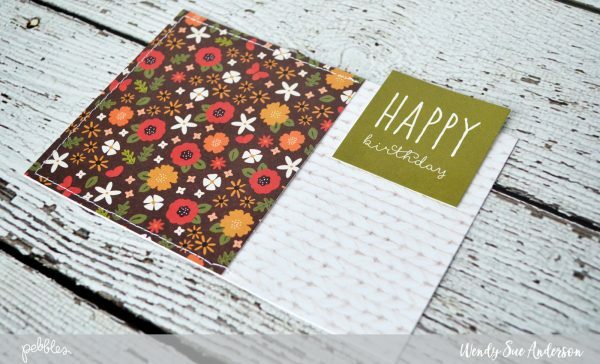 First, I cut a 4″ x 6″ piece of patterned paper for each card, and a 3 1/4″ x 4″ paper as well. 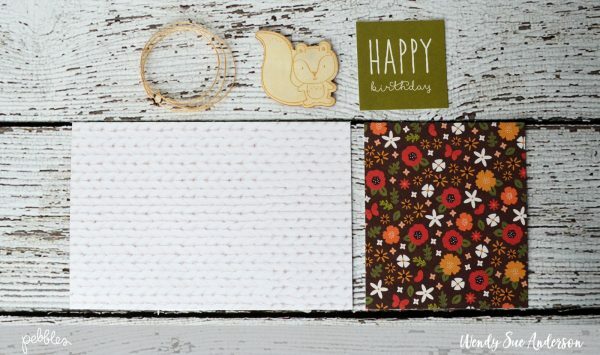 I found the themes on the “thankful” paper in the Woodland Forest collection – but many of the Pebbles collections have a similar page that would work! 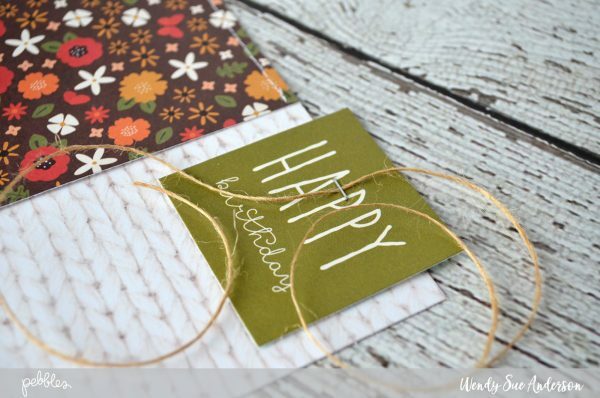 I also pulled a cute embellishment and some twine for each card. 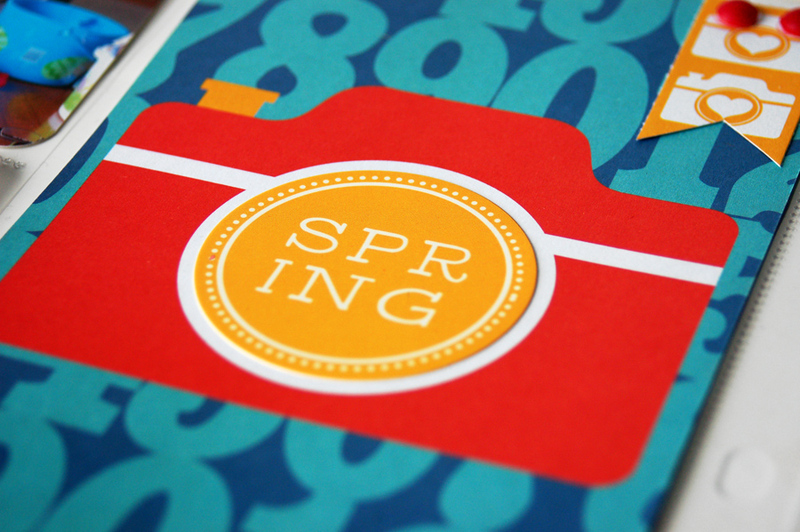 Next, place the “theme” card on the right side, slightly sticking out over the top of the card. 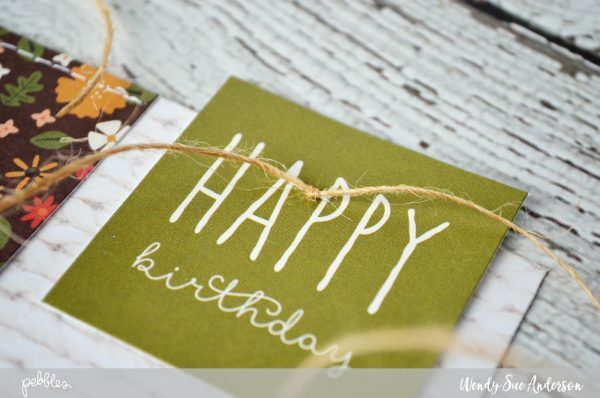 Next, I used a mini stapler to add the jute to the card. 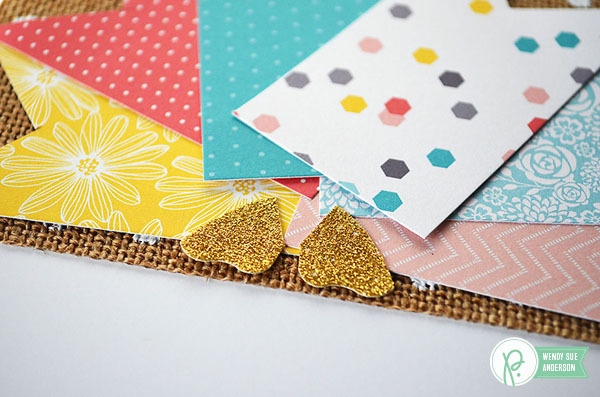 Here’s a simple way to add a jute bow. 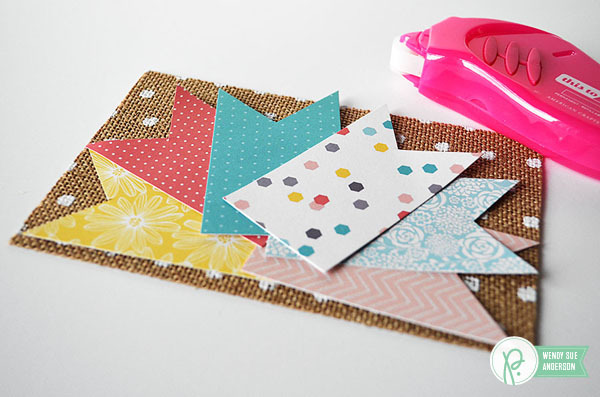 Staple the jute down wherever you want the bow to be. Tie the jute in a knot over the staple (this will pretty much hide the staple). 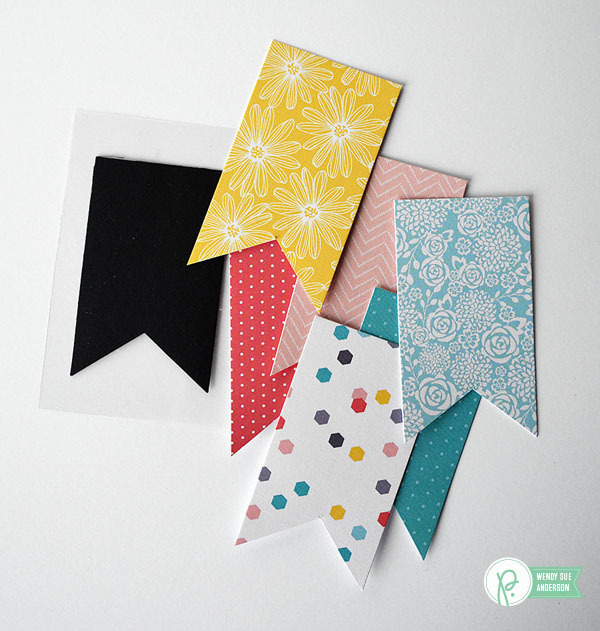 Now tie a bow – the staple has disappeared and there’s a perfectly placed jute bow! 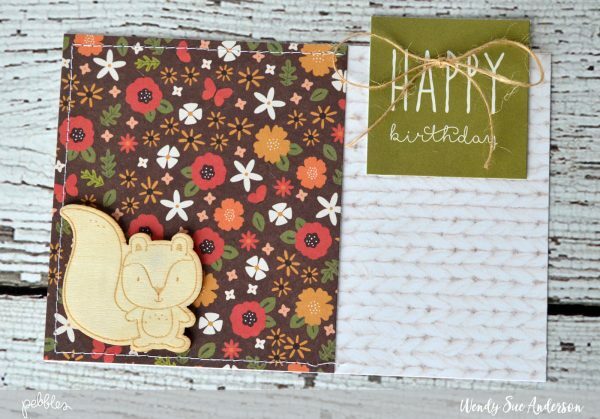 Add the wooden embellishment to the left side of the card. 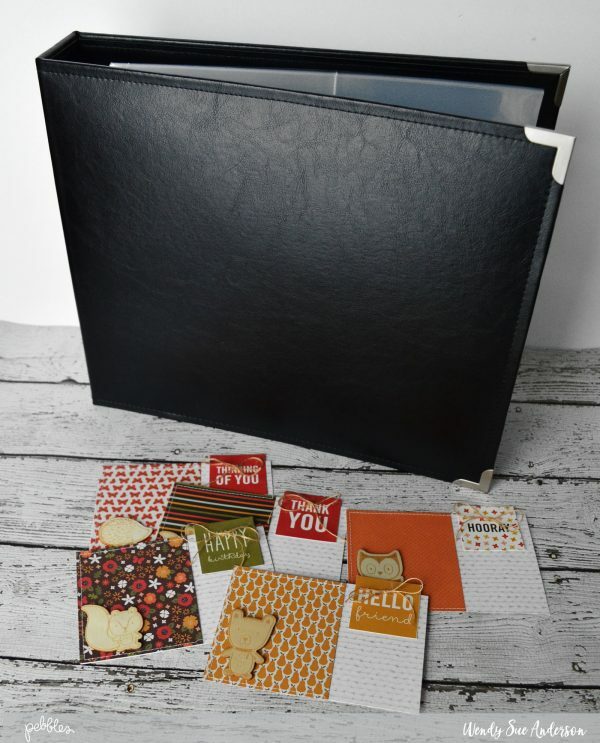 Now just tuck your handmade cards into the divided sheet protectors and you’re ready to share love through your cards! 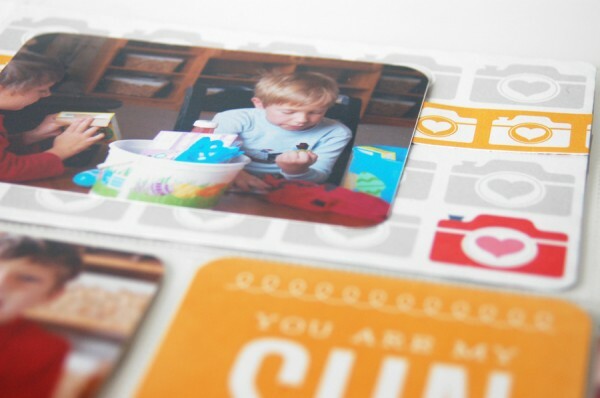 One other thing I like about this system is that I can use some of the other page protectors to hold different sized cards – or even tags. 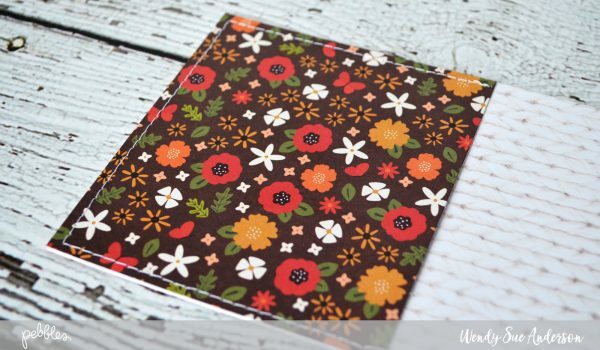 If I use a regular 12×12 page protector, I could even tuck in gift bags! Another thing I think I’m going to like about this system is the convenience of seeing which themes need to be replenished! 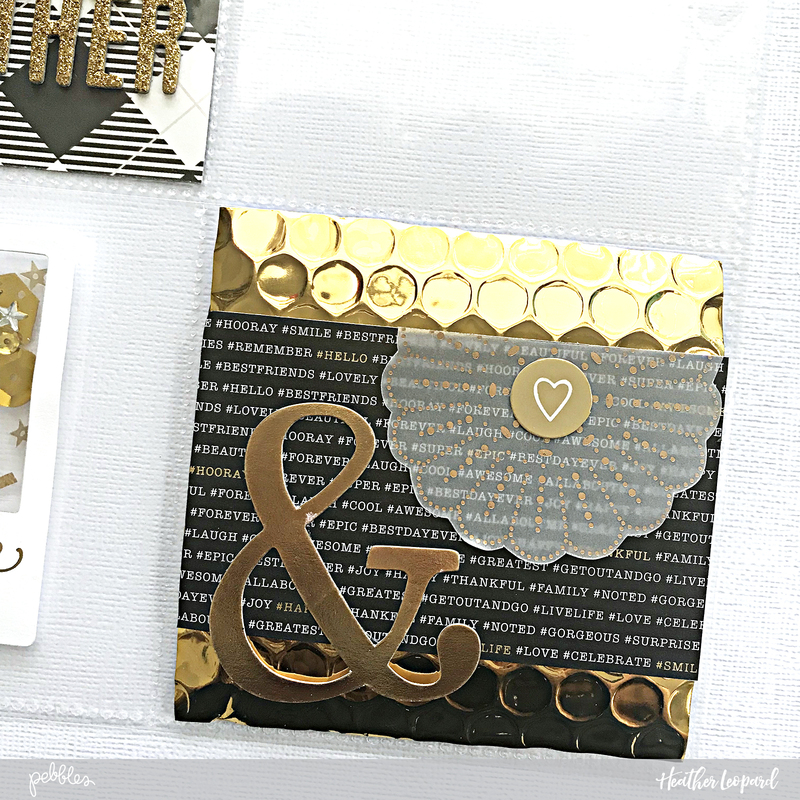 When I’m in the mood to create cards, I can flip open the binder and see which theme has less “inventory” to choose from and go from there! Thanks for stopping by today. 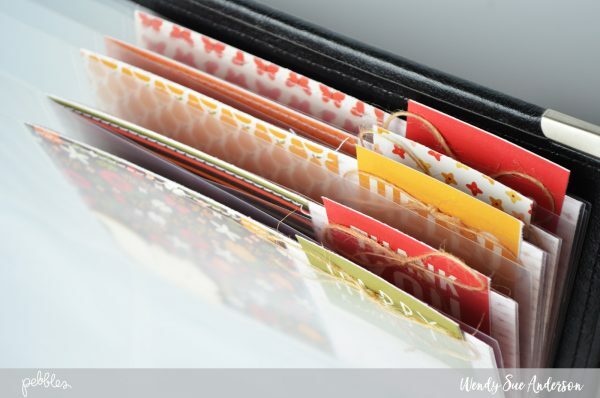 If you have a favorite way to organize your cards, please share in the comments – I love seeing how other people organize!! Hello There! 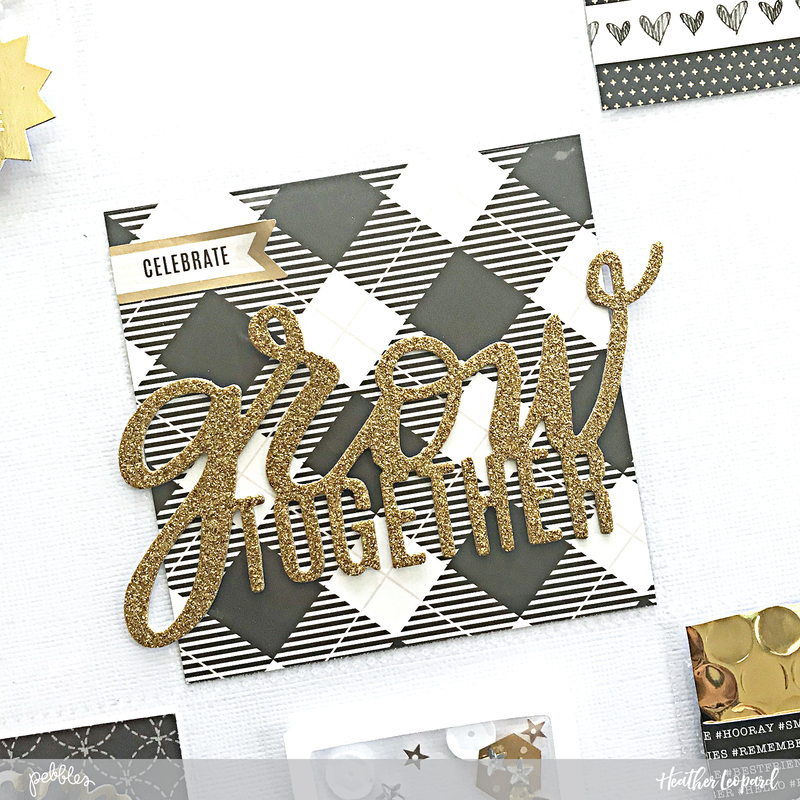 It’s Mendi here today sharing a pocket style page. 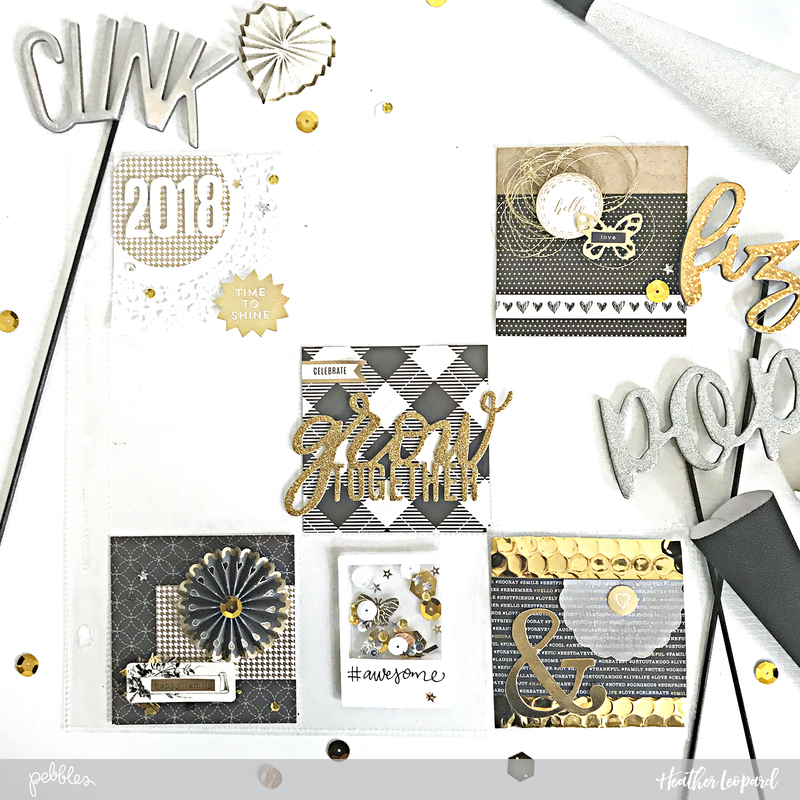 So I have a confession… This is a new style of scrapbooking for me which I have been a bit resistant to so I didn’t know quite where to start, but I discovered THIS wonderful sketch by the talented Allison Davis which gave me a great jumping off point. 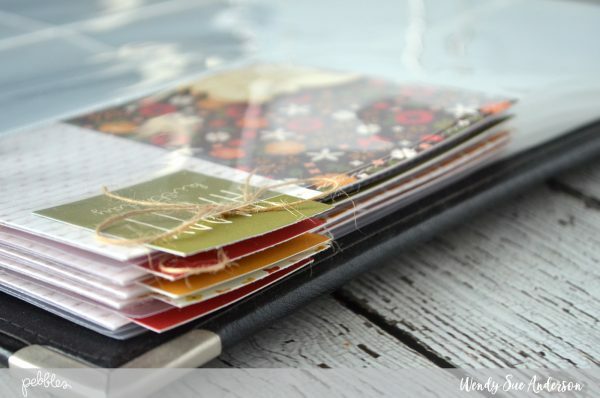 To hold my journaling card I turned to one of the Home For Christmas cardstock tag pockets. It came with the words “To/From” printed on the front which I was able to easily disguise with a little strip of patterned paper. 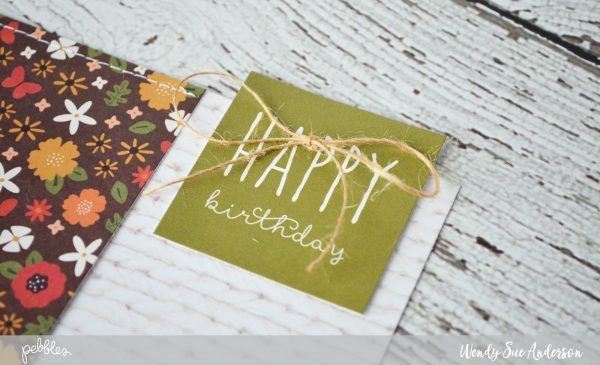 I found that when I was able to think about the pockets as individual projects like little greeting cards, it made everything less intimidating for me. Following the sketch, I incorporated a tree for my largest pocket which I crafted from a piece of felt (see instructions below). 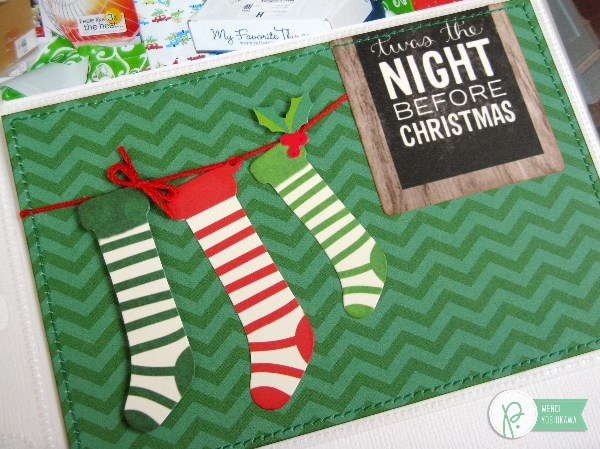 For my bottom pocket I chose to sting a trio of stockings, popping up the darkest green one so that it would stand out against the similar colored background. Today’s project features We R Memory Keepers 1/16″ Power Punch which I was able to utilize in a couple of different ways. 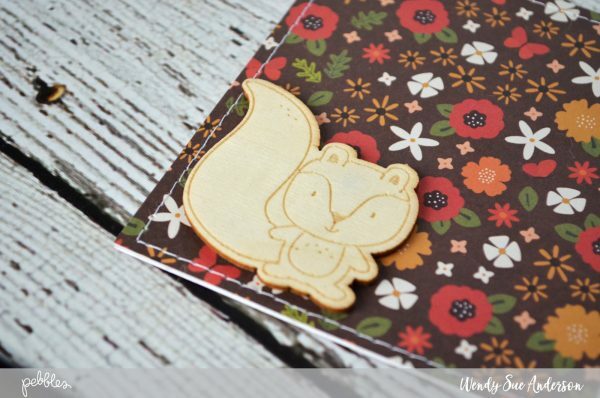 I first used it to punch tiny holes in my stocking die-cuts so that I could string them with embroidery floss. 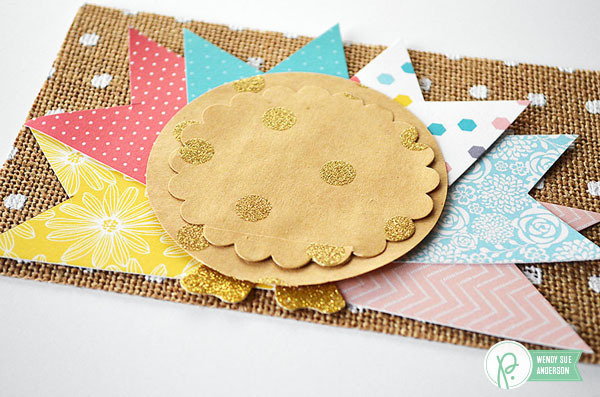 I am seriously excited to have a strong punch that punches this smaller sized circle! 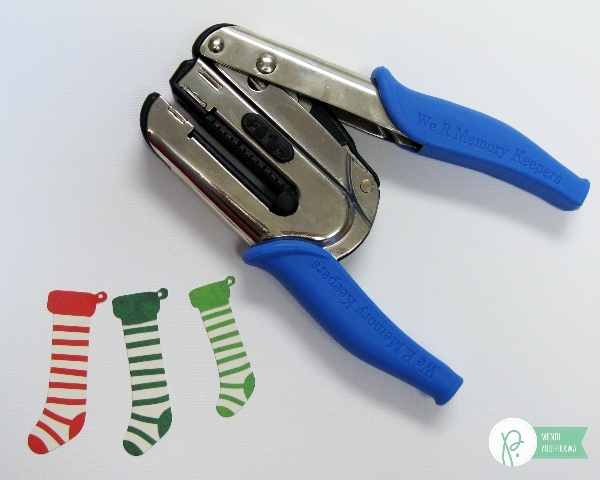 I can see this being useful for so many applications and it was perfect for these stockings that were simply too small to use with my Crop-a-Dile tool. 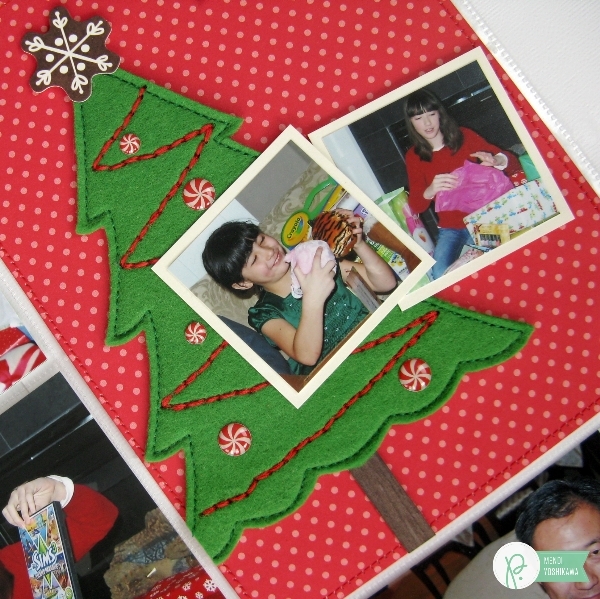 I used it again to create my homemade felt tree embellishment. I’ve put together a little visual tutorial below along with 10 simple steps on how you can create one too! Step 1: Die-cut tree shape from thin chipboard (I did mine on my Silhouette using THIS cutting file which I widened a bit). Step 2: Cut down felt to the rough shape of your tree and add liquid adhesive to the top portion of chipboard tree. 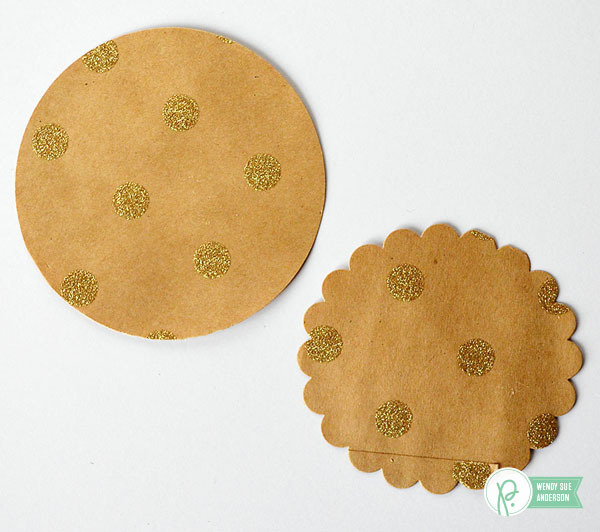 Step 3: Adhere chipboard tree to felt and press down firmly around the edges, removing any bubbles. Step 4: Using scissors cut out felt around tree. Step 5: Stitch around edge of felt tree using sewing machine (optional). Step 6: Flip tree over and freehand garland in zig-zag pattern. 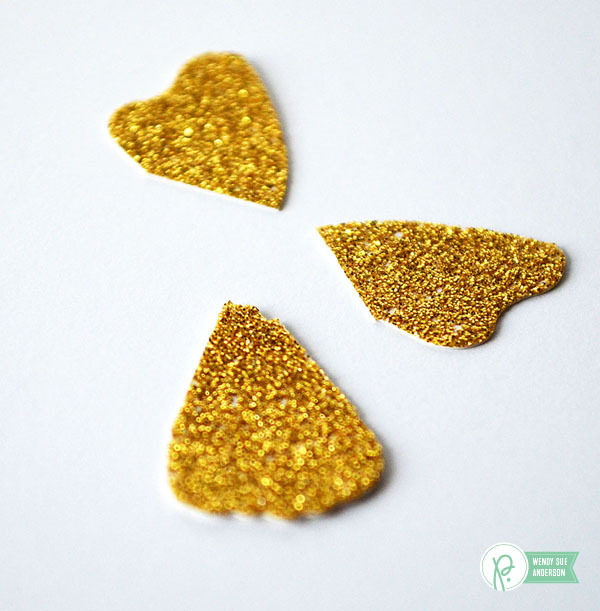 Using a ruler, draw dots 3/16″ apart where your garland will go. 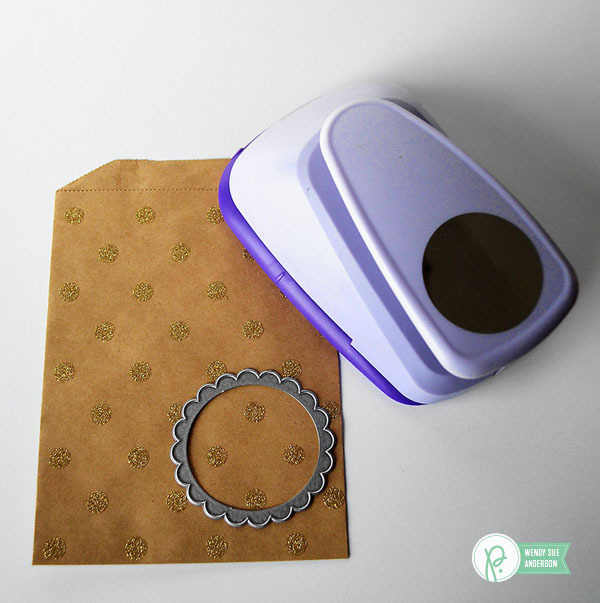 Step 7: Using We R Memory Keepers 1/16″ Power Punch, punch holes using your pencil dots as a guide. Step 8: For stubborn felt that doesn’t want to punch out, squeeze punch a second time before fully releasing. Step 9: To reduce bulk on the back of your tree, use a running stitch to stitch through the holes with all six strands of embroidery floss. 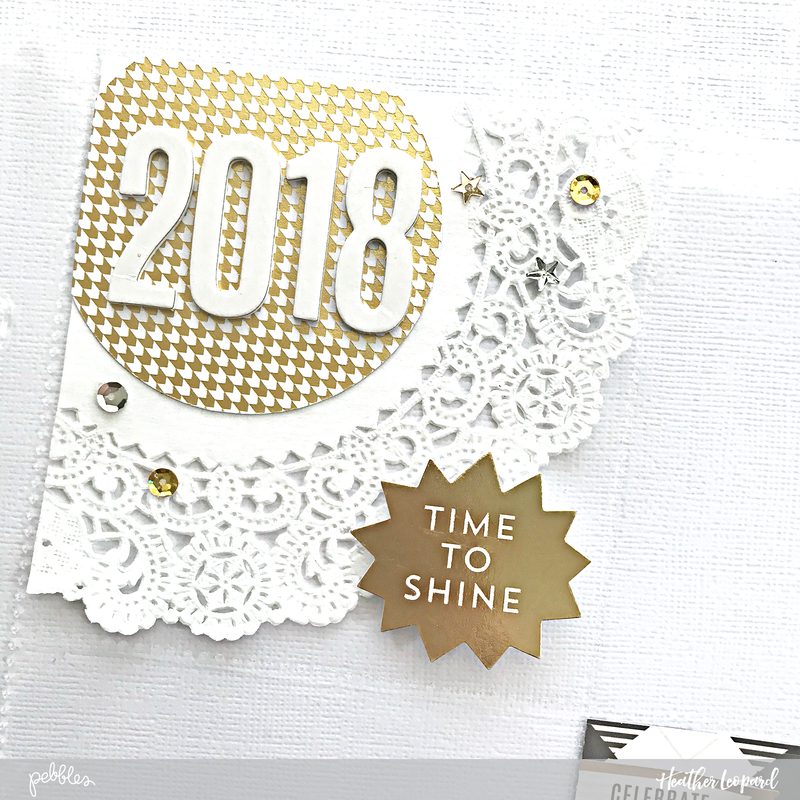 Step 10: When done, secure knots on the back of the tree, add woodgrain patterned paper to the truck and embellish with Candy Cane dots (using a little liquid adhesive). Hello Pebbles friends! 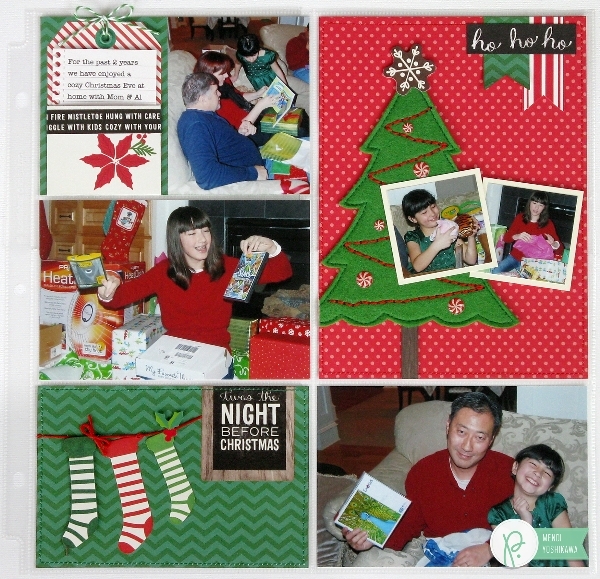 It’s Wendy Sue here today sharing a project life pocket page layout I created featuring some fun photos from last year’s family Thanksgiving Day. 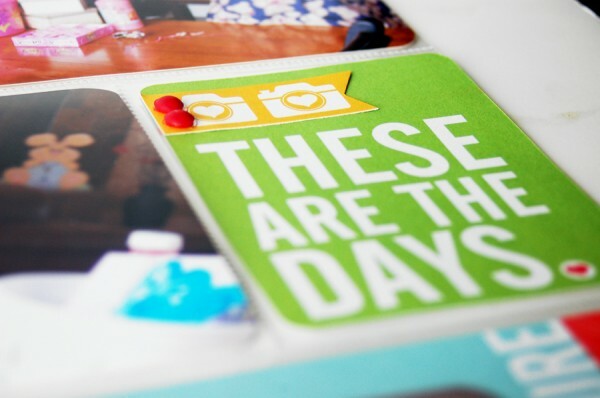 I took photos in the car, on the way to my parent’s house, photos of the family in the yard, photos of the ads that we passed around while we planned our black Friday shopping, and, of course, photos of the big turkey dinner! 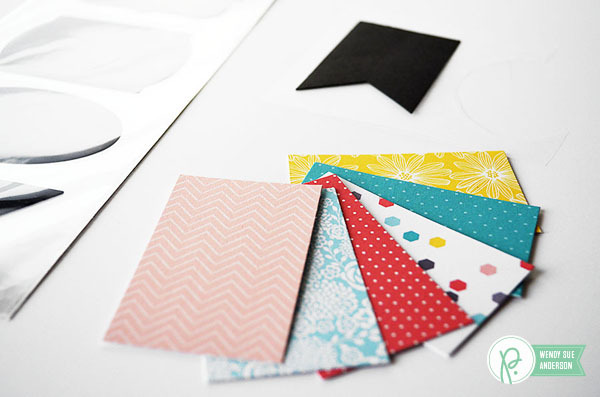 Using one of the chalkboard label stickers as a template, I cut six “feathers” from various papers from the 6×6 paper pad. 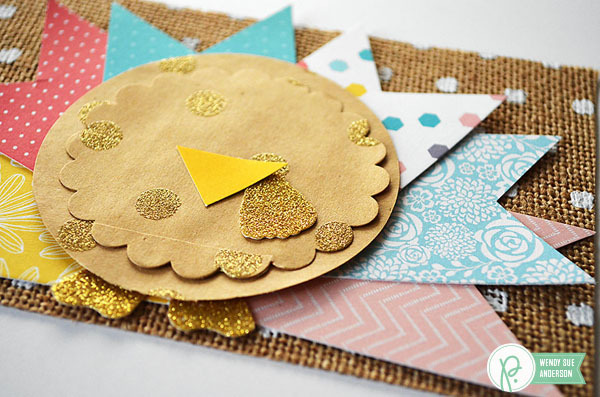 After the feathers were cut, I placed them onto a 6″x4″ piece of burlap paper in a half-circle. 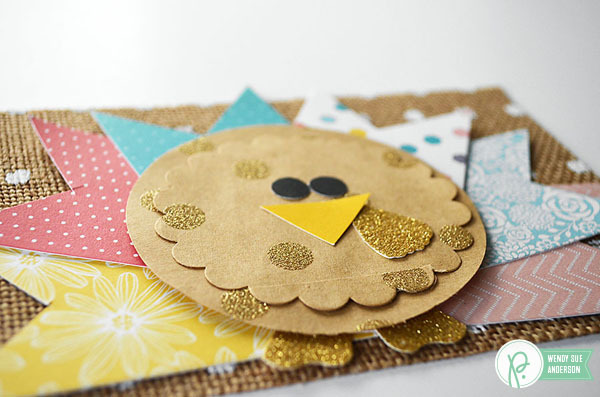 Wouldn’t this turkey be so cute on your next Thanksgiving project?! ?